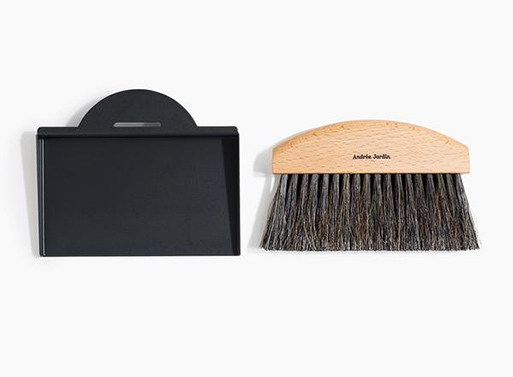 It won’t hurt one bit to tidy up, especially if you have the Andreé Jardin Mini Brush and Dustpan Set. 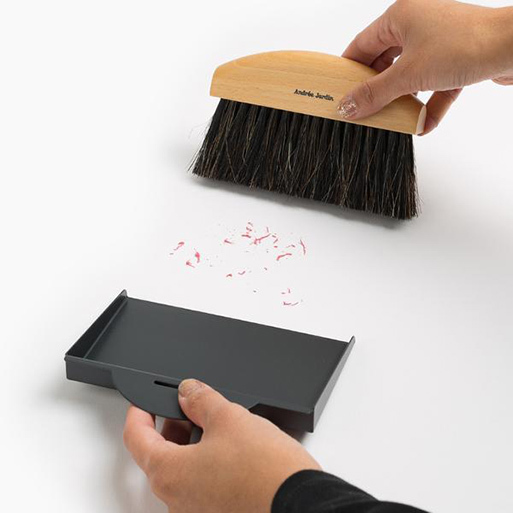 The small brush fits easily in the hand to sweep up crumbs and other debris, and it fits neatly into its metal pan for storage. 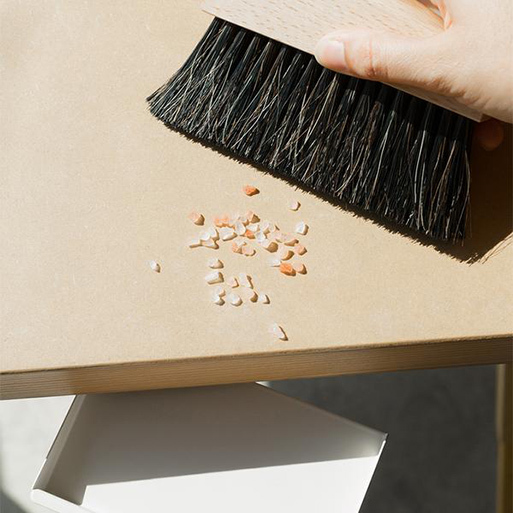 Maybe it’ll encourage you to keep surfaces clean? Let’s hope so. Beechwood with horsehair and synthetic fibers, metal tray. 5.3″ x 4.7″ x 0.6″ (13.4 cm x 11.1 cm x 1.6 cm) tray. Colors: Black, Red, and Cream.